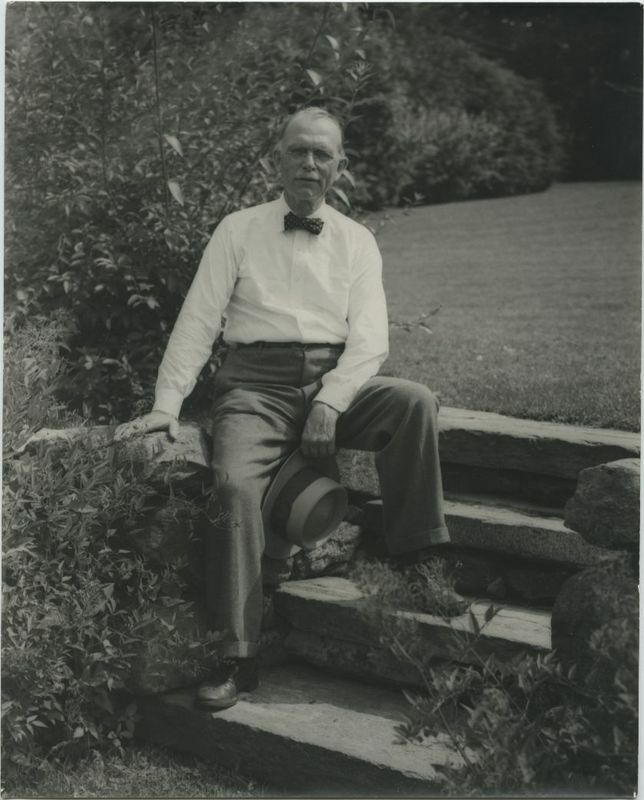 Ray Stannard Baker was born on April 17, 1870, in Lansing Michigan. Baker grew up in the Great Lakes State and in 1889 attended the Michigan Agriculture College, now Michigan State University, where he earned his Bachelor’s Degree. From 1892 until 1898 Baker went on to work at the Chicago Record where he acquired a newfound awareness of issues concerning social injustice. 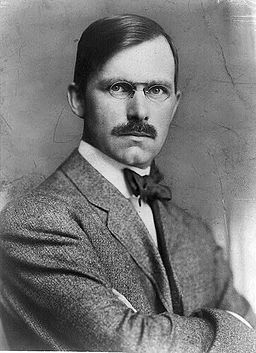 This interest in major issues of the Progressive Era in United States history eventually guided Baker to work for a New York magazine, McClure’s, which championed socially progressive causes. Baker stayed there for a time until cofounding the American Magazine in 1906. Baker married Jessie Beal in 1896 and the couple had four children, two daughters and two sons. Between the years of 1900 and 1910 Baker lived in several different locations around the country, including Michigan, New York, and the southwestern United States. 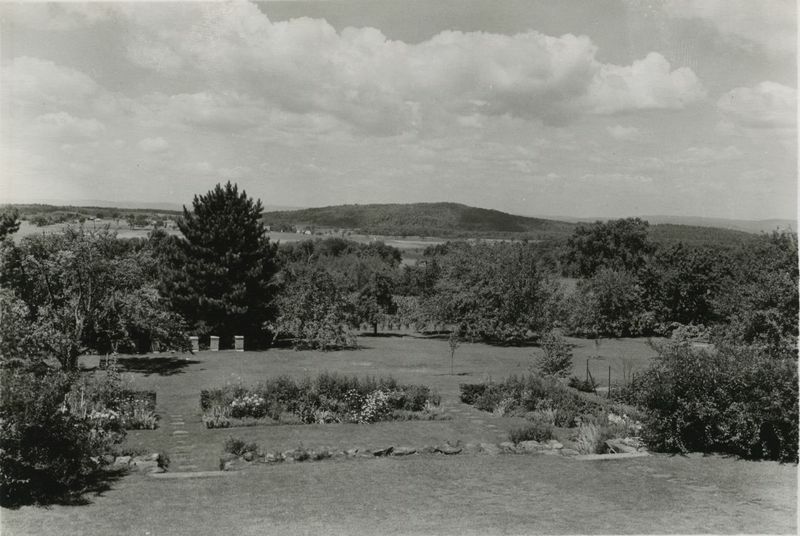 In 1910 Baker moved to Amherst, Massachusetts where he stayed until his death in 1946. Baker’s texts were defined by his passion to fight for social justice. His initial work at the Chicago Record and his later work at both McClure’s and American Magazine gave him a platform to spread his message to different populations within the United States. Starting in 1907 he assumed the pseudonym, David Grayson, and wrote nine books celebrating the many virtues of rural life. At some point in his activist career Baker befriended Woodrow Wilson and became the President’s official biographer. Baker wrote and edited an eight volume series on Wilson titled Woodrow Wilson: Life and Letters. Baker also edited a six volume series called The Public Papers of Woodrow Wilson. Baker published one of last works, his own autobiography, The Autobiography of Ray Stannard Baker, under the name David Grayson. Baker won several awards in his time, including the Pulitzer Prize for two parts of his eight volume biography on Woodrow Wilson. Baker served as director of the United States delegation of the press bureau at the Paris Peace Conference in 1919 following the First World War. Baker’s legacy also includes his fight for social justice during the Progressive Era. Many of his newspaper articles on these issues, as well as his other writings, are kept at the Library of Congress. A dorm at the University of Massachusetts-Amherst is named “Grayson” in honor of Baker, using his pseudonym. 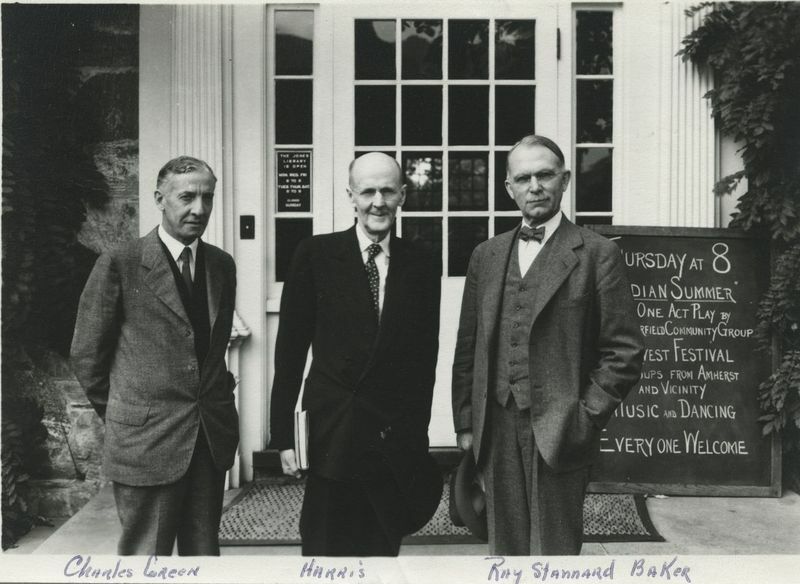 A second dorm, called Baker, is actually named for his brother, Hugh Baker, who served as its president from 1933 until 1947. 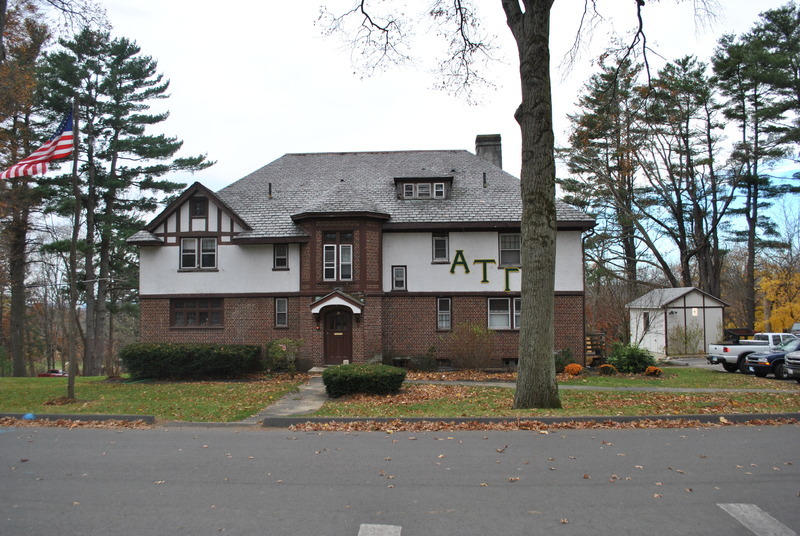 When Baker first moved to Amherst in 1910 he lived at 219 Amity Street. He resided there until 1916, when he moved to this house at 118 Sunset Avenue. 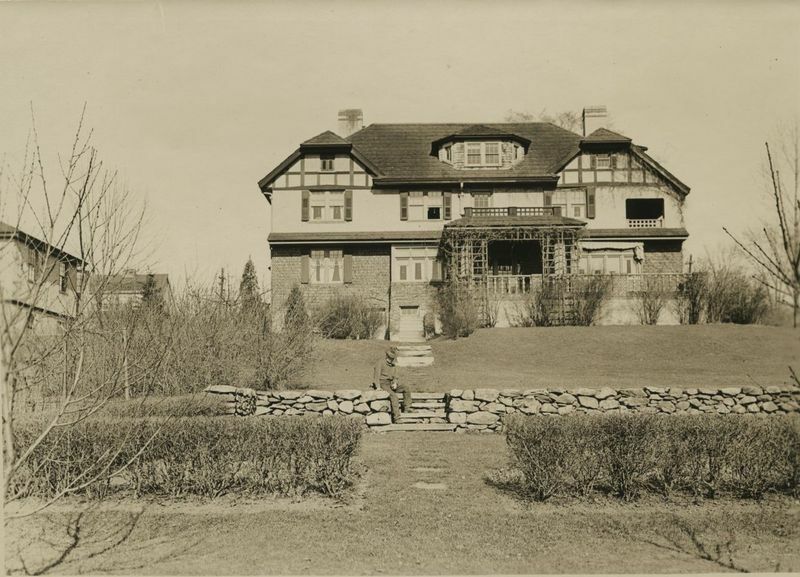 The house was built by Boston architect James H. Ritchie. Ritchie utilized many elements of the British “Arts and Crafts” movement when designing the home. 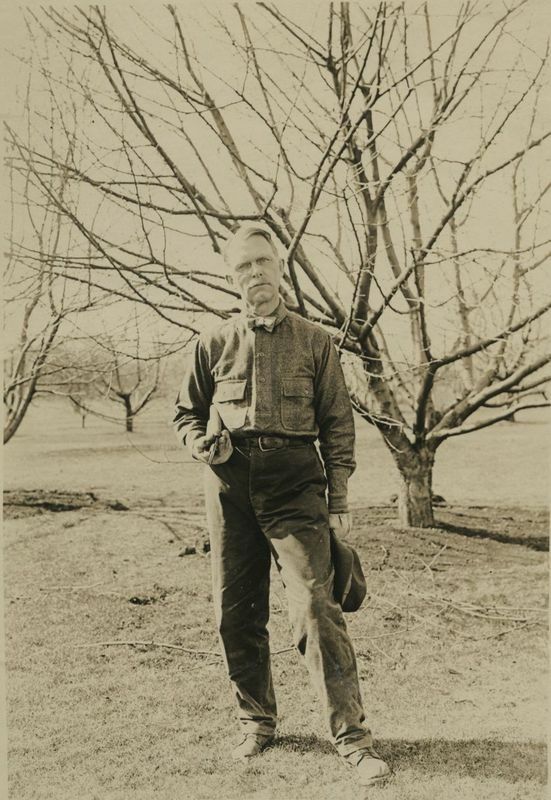 Here Baker enjoyed the simpler country life and pursued hobbies such as beekeeping, landscaping, and gardening. Gregg Mitchell, “Ray Stannard Baker's House - 118 Sunset Avenue,” Amherst Historic, accessed April 18, 2019, http://amhersthistoric.org/items/show/1. Published on Oct 16, 2014. Last updated on Jun 3, 2015. 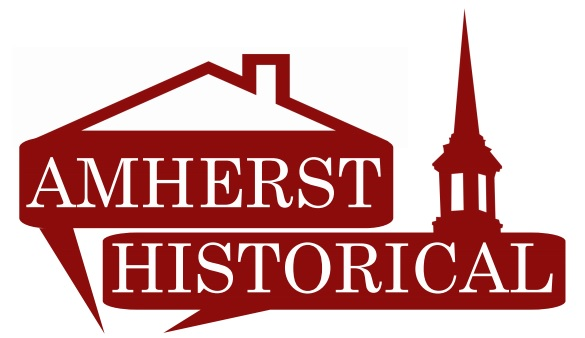 This work is licensed by Amherst Historic under a Creative Commons Attribution-NonCommercial-ShareAlike 4.0 International License.